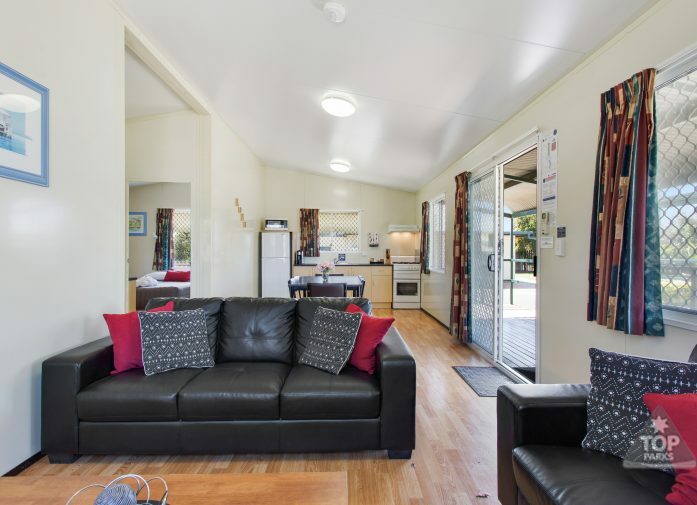 Our comfortable, spacious Two Bedroom Ensuite Cabin is the ideal accommodation for families looking for all the amenities of home while on holidays. 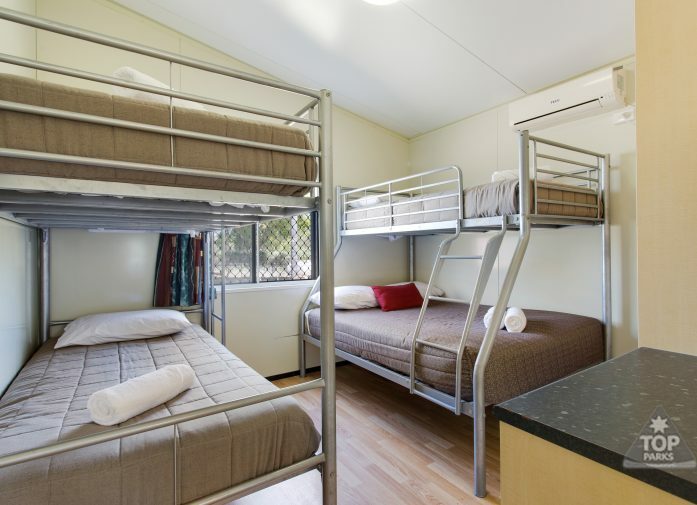 Bright and roomy, these individual cabins are an affordable alternative to traditional hotel or motel-style accommodation but with more space and the convenience of being able to prepare and enjoy meals and having access to the rest of the park’s facilities. 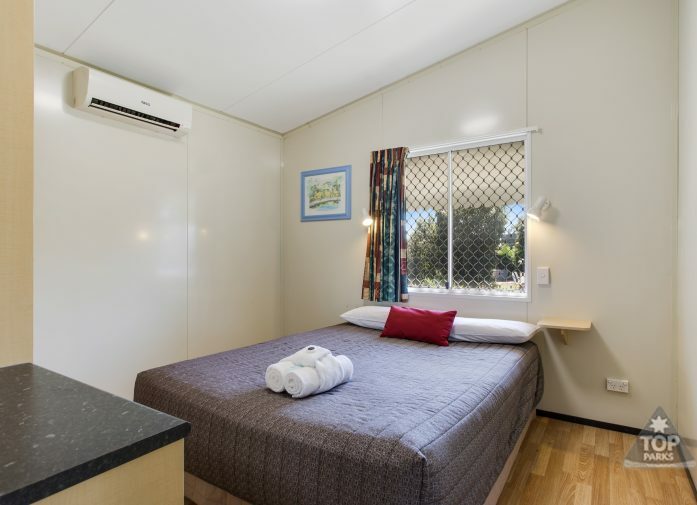 Functional layouts and a wide assortment of amenities make our Two Bedroom Ensuite Cabin the perfect choice for a holiday getaway or short stopover in the Goondiwindi area. The practical kitchen is fully equipped with a coffee machine, fridge, full-size stove with oven, a microwave and all the cooking utensils, crockery and cutlery needed to serve a meal. Each cabin has heating and air-conditioning and linen for the queen bed and bunk beds is provided. Two separate bedrooms ensure privacy and the ensuite bath contains a shower and a complimentary hairdryer. The living area is divided into a lounge with a sofa and television and the dining area with a large table and chairs for six guests. If you like to dine alfresco our Two Bedroom Ensuite Cabin also has a balcony, courtyard or veranda with its own private BBQ. 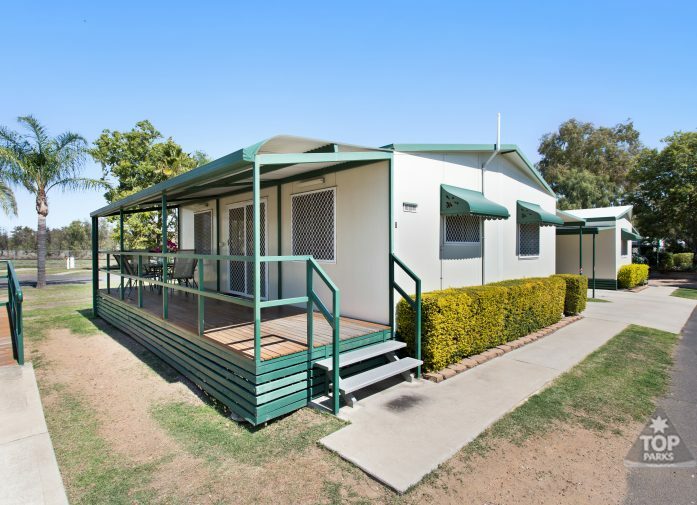 Goondiwindi Holiday Park’s Two Bedroom Ensuite Cabin is the best value holiday accommodation in Goondiwindi and your best choice for comfort and convenience. We look forward to welcoming you and your family when you next visit the beautiful Goondiwindi region.